I originally published this article in The Los Angeles Professional Express. Several months ago, the Muslim Brotherhood’s English website, IkhwanWeb, published an article I wrote calling for the release of an Egyptian activist, named Maikel Nabil. The imprisoned blogger is not only an ardent defender of Israel’s right to exist but also a self-proclaimed atheist born into Coptic family. The same website then issued a statement by an executive member of the Organization, Dr. Mohamed ElBeltagy, citing Nabil’s right to freedom of expression. Brotherhood sympathizers responded in disbelief. In contrast, seculars accused the Brotherhood of double standards, especially when it became clear that ElBeltagy’s statement would not be published on the Brotherhood’s Arabic website, IkhwanOnline. There are many other examples of editorial inconsistencies between the two ‘official’ Ikhwan websites which offer a rare glimpse into the internal dynamics at the heart of the Brotherhood. Skeptics have dubbed the English site “Ikhwan Lite” accusing it of offering a softer message for consumption by a Western audience compared to its more hardline Arabic alternative. Optimists say the mixed messages are the product of an “internal ideological battle to win the soul of the Brotherhood”. The Muslim Brotherhood is the world’s oldest Islamist organization. Founded in 1928 in response to the end of the Islamic Caliphate and the perceived spread of Western-style liberties during Egypt’s “Golden age”, the movement has since poised itself as guardian to Egyptian conservatism. That being said, the Organization is no stranger to ideological diversity within its ranks. From the doctrines of its founder, to the fundamentalist teachings of Seyyid Qutb, the ideological divisions within the Brotherhood run far and wide. One often cited distinction between the Brotherhood as representative of a moderate form of political Islam compared to the more puritan Salafists is not entirely accurate. According to Ibrahim el-Houdaiby, whose great grandfather was the Brotherhood’s Supreme Guide, the Organization is now dominated by hardline Qutbis and Salafists. Recently pundits have focused on a generational gap between a group of younger members, Shabab al Ikhwan, and three other generations within the Movement. The Shabab may be visually and behaviorally indistinguishable from non-Islamists. Many shave their beards and have no prayer bumps on their foreheads. But what has intrigued analysts the most is their potentially transformative political activism. The blogger movement within the Brotherhood came as part of the explosion of online activism in Egypt that started in 2004, included the Kefaya movement as well as many personal blog-based activism. The Shabab have on numerous occasions challenged the paternalistic ways of the Organization’s old guard by publically and sometimes loudly voicing dissent. But it would be wrong to bet on the Brotherhood Youth as a force of self-reform within the Movement. Rather, as many youth have already discovered politics usually comes first. Ever since the Brotherhood set its eyes on winning big at the elections, internal dissent has wilted in favor of a unity of ranks and a more utilitarian strategy. The youth may be loud but they have so far played a limited role at the top. Not only do they come last in line within a relentless hierarchical structure, they’re also a relative minority. Moreover, the liberal-conservatives, as they jokingly call themselves, aren’t liberal in the typical sense either. Theirs is an incoherent synthesis of liberal ideas with a tolerant interpretation of Islamic Jurisprudence based on the assumption that they are generally not incompatible. While that may be a welcome stance by Islamist standards, it weds religion to politics by definition. Additionally, rather than being committed to the defense of individual liberties the consensus seems to be that there are cultural and religious limits to freedom. Although voices within the party deny the presence of an ideological or generational schism, the perceived inconsistency has come at a price. The Organization has steadily lost goodwill within political circles and many are criticizing their ambiguity on crucial issues. With the Islamists securing a comfortable majority in parliamentary elections many are trying to interpret what these messages tell us about Egypt’s political future. 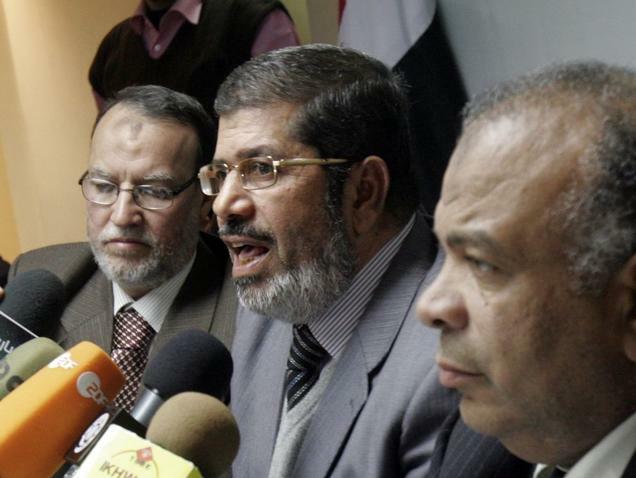 It is useful to remember that in 2005 the Muslim Brotherhood was the largest opposition bloc in parliament. Sadly however, every single bill proposed by Mubarak’s corrupt National Democratic Party was passed successfully. With the military council now firmly in Mubarak’s seat, it is very difficult to see how democratic reform can come at the hands of the Fraternity.